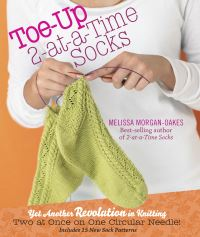 Fortunately, sock yarn can be used for more than simply keeping toes toasty. 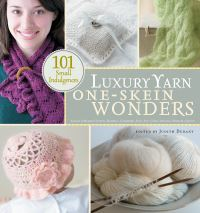 In "Sock Yarn One-Skien Wonders: 101 Patterns That Go Way Beyond Socks!" 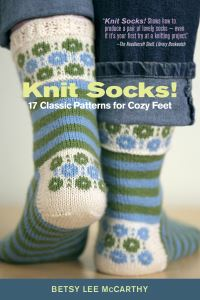 veteran knitter Judith Durant has chosen not simply inventive sock patterns but also more than 5 dozen inspired patterns for other items that can be created from a single skein of sock yarn. 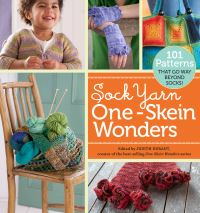 The latest in Storey's enormously popular "One-Skein Wonders" series, "Sock Yarn One-Skien Wonders" offers one-of-a-kind patterns for baby clothes, mittens, scarves, hats, jewellery, cosies, bags...even a dog sweater and a lamp shade! 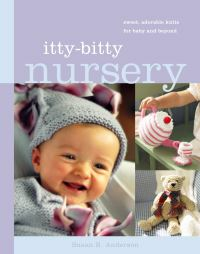 Contributed by yarn shops and designers, the patterns are as fetching as they are fun to knit. 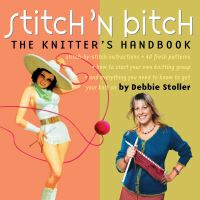 Knitters of every skill level will find tantalizing challenges; some knit up in fewer than three hours, others make creative use of sock yarn leftovers, and several make heirloom-worthy gifts. Collectively, these patterns bring out the best of sock yarn...whether variegated or solid-coloured, self-patterning or hand-painted. 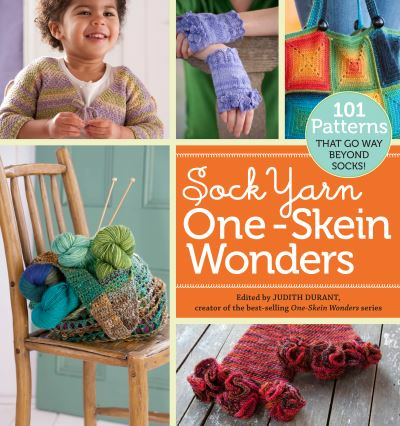 "Sock Yarn One-Skien Wonders" has an easy-to-browse layout, four-color photos throughout, step-by-step instructions, clear illustrations and charts, and stylish patterns. 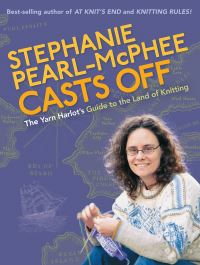 With this book in their knitting bags, needle crafters will take their stash of sock yarn well beyond stockinged feet to a delightful world of possibility.